As someone who has never watched a rugby game before, because they play with the wrong-shaped ball, I wasn’t sure what to expect when the opportunity to attend Wasps v Tigers landed on my lap. For my sins, I’m an avid Coventry City FC supporter and part of me struggles with the idea of Wasps going from strength to strength in their new home, while we’re on a sad decline… But that’s for another day! However, as a sports fan and with Varsity approaching, I thought why not – who needs to know the rules inside out to enjoy a game and quality atmosphere? I needed to figure out what would be happening on the pitch in front of me so I quickly learned pre-match some basics using a beginner’s guide. With kick-off at 3pm, we made sure to arrive early for what is becoming one of the Midland’s biggest rivalries. Before you enter the stands you can visit the Fan Village, also known as the Wasps Nest, for pre-match entertainment. 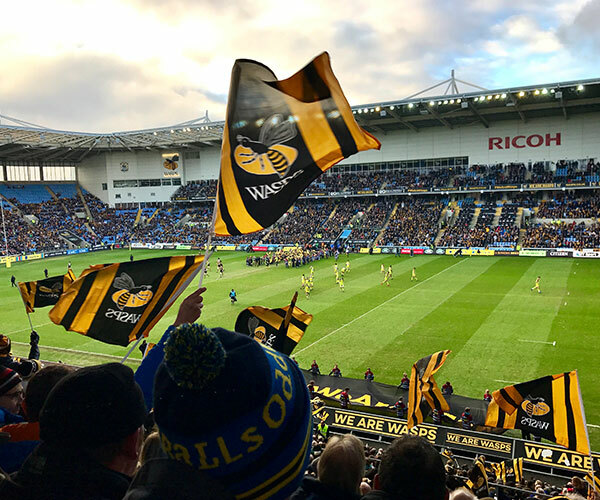 It was a really inviting atmosphere and almost felt like a party, way before a match winner had been decided, with lots of food and drink stalls, a live band and opportunities for people to try out handling rugby balls, tackling and even Wasps Netball. You could get your face painted with a Wasps stencil and they were handing out free flags to really get everyone in the mood – which the Tigers fans I was at the game with weren’t over the moon about when I couldn’t resist grabbing the freebie! Actually, the mood between the rival fans was one of the most impressive things from the day, as home and away fans are able to mingle before and during the game. 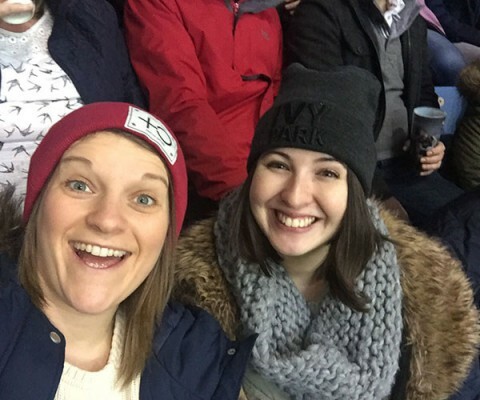 The combination of friendly banter and mutual respect for the teams meant everyone was just there to have a good time and share their love of the game – which other sports should consider adopting! The stands were packed with 27,930 fans for the M69 derby, a new fortnightly attendance record, when the teams walked out onto the pitch with the crowds cheering and waving their flags. They even pulled off a pyrotechnic display – fireworks on a Sunday afternoon, what’s not to love?! The first half was heavily dominated by Wasps, who were 19-0 up before the break, after tries from Christian Wade, Tommy Taylor and Dan Robson. 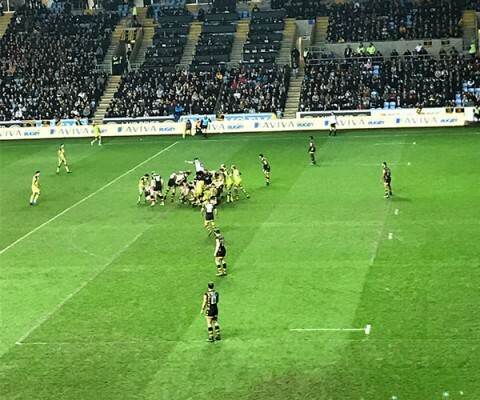 But the tide can change so quickly in rugby thanks to the scoring system, so after a rocket-fuelled half-time talk from Tigers coach, the team came out to give Wasps a taste of their own sting. A combination of tries and penalties meant Tigers were straight back in the game. One of the biggest moments in the second half unfortunately involved James Haskell on his comeback from injury, who knocked himself out only 35 seconds after coming onto the field! 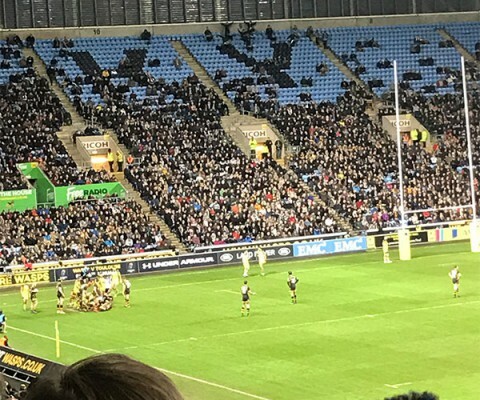 Wasps just about edged a gripping encounter with a 22-16 victory, which protected a 10-match unbeaten run at the Ricoh Arena. I really enjoyed the whole experience of the game and, while Rugby Union rules aren’t necessarily the most straight-forward to follow, I definitely feel like I learnt something about the sport. I’m already organising my next trip to watch the Wasps with friends, as it’s something different to do on a weekend with a positive buzz, in and around the stadium. The question is: which sport do I want to check out next? If you’re looking for sports to check out for the first time, the fixture list for Varsity is a great starting point with Ice Hockey, Basketball and even Ultimate Frisbee lined up. Whether it’s Wasps or our very own Team Phoenix – as we play our Union games at the Ricoh during Varsity – getting behind a sports team creates a feel-good vibe! Sport Coventry has loads of opportunities for you to get involved, from gym classes to sport memberships. Rugby – it’s pretty fun even if it’s played with an egg! Stay tuned for more information about Varsity 2017 – coming very soon! Let us know what’s your favourite sport to play or watch via our social channels.